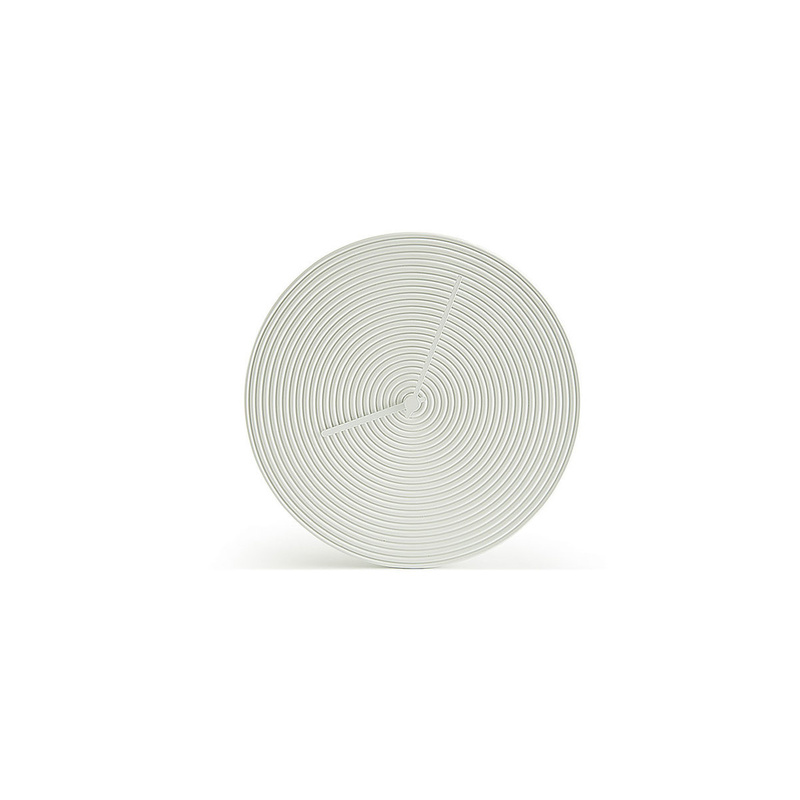 Ceramic, artisan and symbolic: the Ring wall clock will add charm while you pass the time. 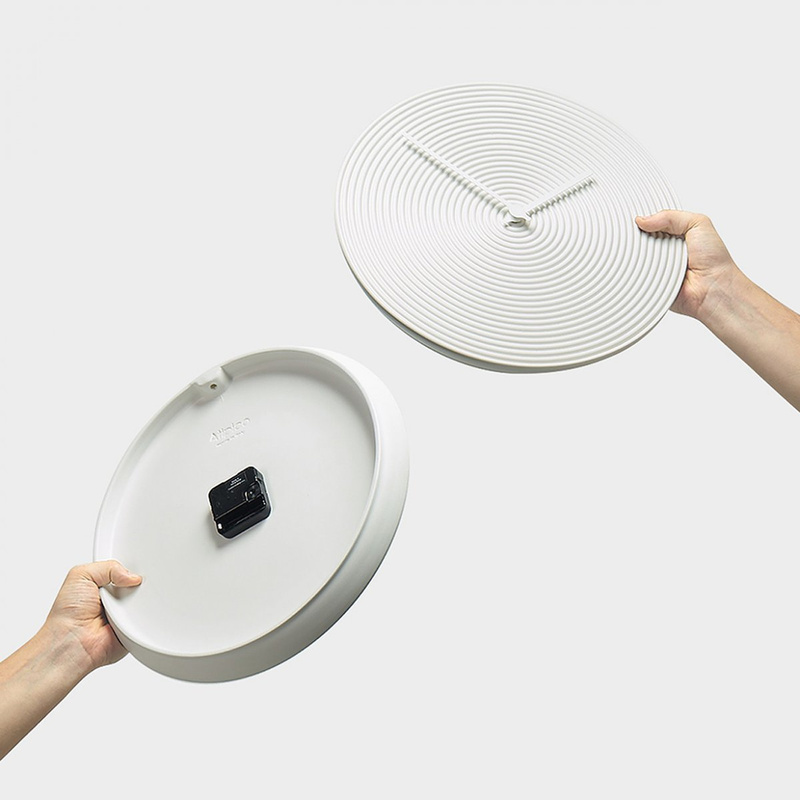 A designer clock you'll go cuckoo for. An essential and refined appearance, Ring by Atipico is equipped with quartz and passes the time with a perfect circular geometry. Its creator, designer Alessio Romano, wanted to convey a deep meaning within this furniture complement, creating a design that displays a relentlessness in the passage of time along with its recursion. 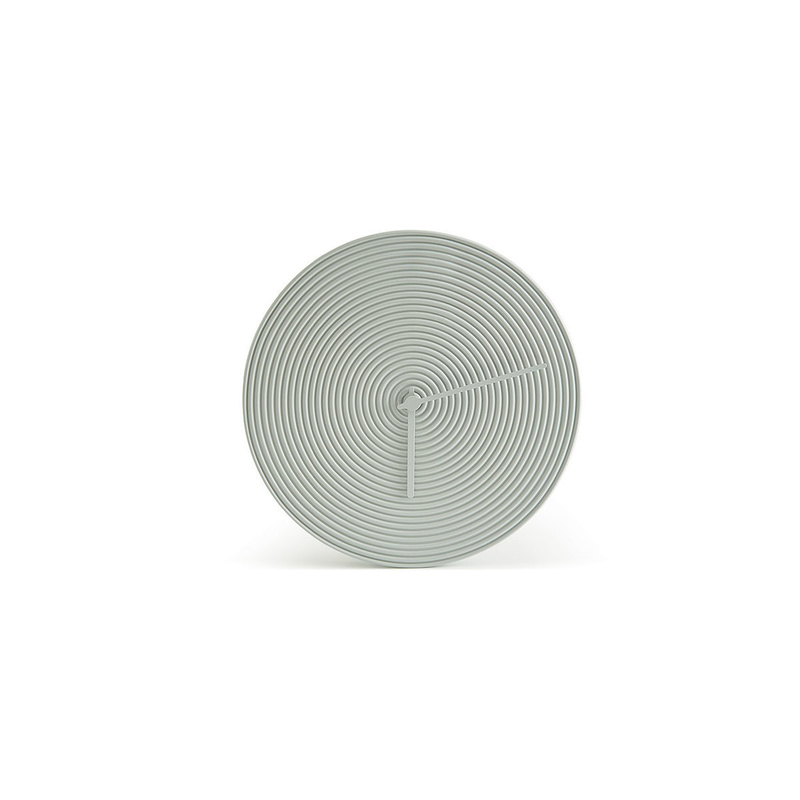 On the surface this wall clock are a solid 24 concentric circles. 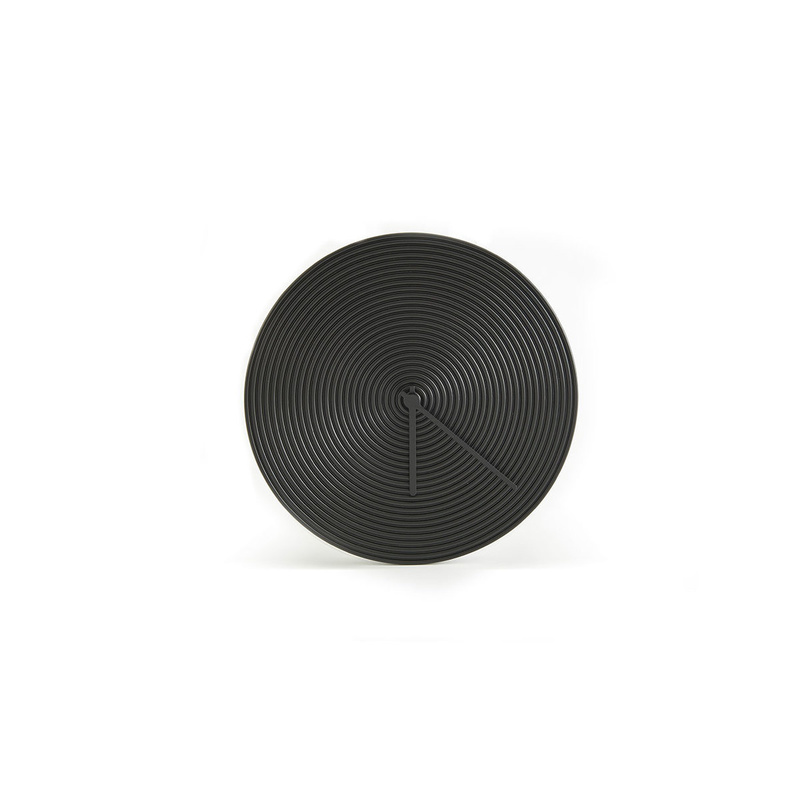 They're rings, which is where the piece gets its name from, chosen as a symbol for the cycle of 24 hours, but also as an instrument to represent the continuity from past to present to future, displaying a genuine metaphor for life. Interrupting the inevitable sequence of time are two thin hands that create breaking points along the continuous rings, just like events in our lives that tend to interrupt the flow of our daily life, breaking up the repetitive daily routine. Ring is therefore a wall clock with a useful yet at the same time rich in meaning composition: a home design complement that masks, behind its serious and elegant appearance, a profound attention to detail regarding shape, meaning and material. The choice of the latter went, not so randomly, to metal, used to create the hands, and the steadfast grandeur of ceramics, which are used to make the interior. The clock is made in Italy and completely hand painted, with close attention to every aspect, from the most sophisticated to even the simplest and more casual areas. In particular, this white tone-on-tone colour scheme makes for a versatile product that also pairs with many pieces of furniture and walls of any colour. The ideal placement of this wall clock in your house is in the kitchen, at the entrance, in the living room or any room with a modern vibe. 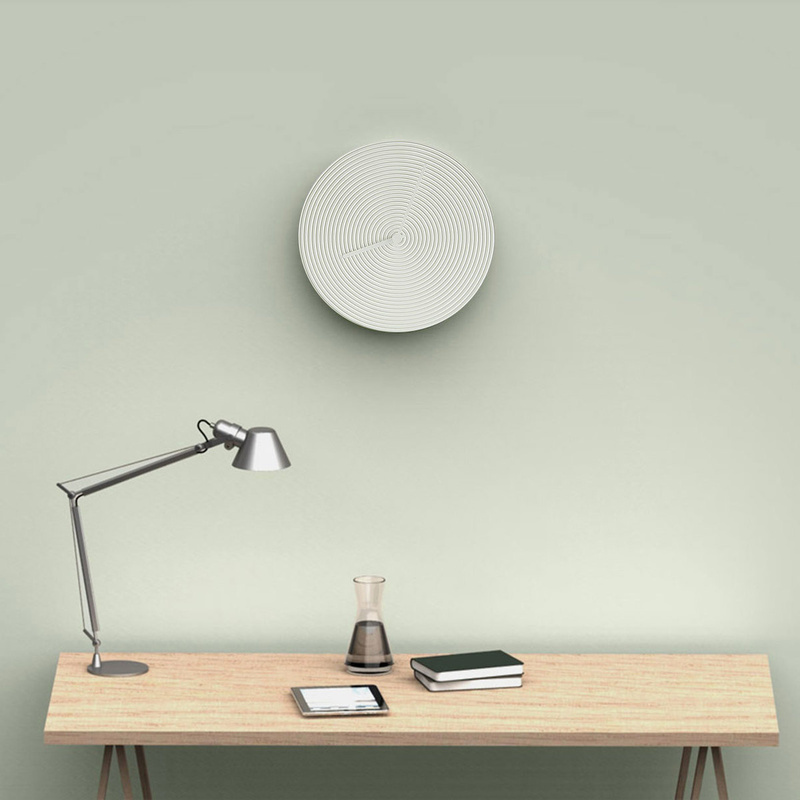 In the office or study, this wall clock will add a hint of style and detail with a contemporary edge, next to bookcases and desks. Perfectly symmetrical, it's a highly visible product that combines utility and decorative prowess.